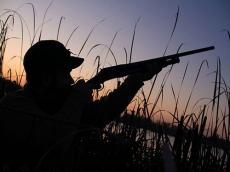 Hunting season, which will last until March 17 next year, is open in Turkmenistan, Turkmen media reported. Over 13,000 people are members of the United Society of Hunters and Fishermen of Turkmenistan. There are areas where all kinds of hunting are prohibited, for example, in the lowlands of the Zengi-Baba Lake. Specialists, environment guards and employees of reserves will strengthen the protection of waterfowl in the eastern part of the Caspian Sea and in all inland waters of the country, and check the registration of motor boats and other vessels together with workers of State Committee for Fisheries of Turkmenistan. In the absence of the necessary permits to hunt, carrying and storing hunting weapons will be considered as poaching, the report says. There is a special kind of hunting without the use of hunting weapons in Turkmenistan - with the help of birds of prey. The season of falconry is open from September 22, 2018 to February 1, 2019. Ecologists remind that species included in the Red Book of the country are argali, gazelle, screw horn goat, red deer, saiga antelope, as well as otter, honey badger, striped hyena, leopard and a number of rodents, including rare mice and forest dormouse. Curly and pink pelicans, black stork, common flamingo, bustard, demoiselle crane, black francolin and Caspian snowcock and all birds of prey are also prohibited for hunting. There are a number of species not included in the Red Book of Turkmenistan, but prohibited for hunting. This includes muskrat, swans, all subspecies of pheasants and Indian porcupine. Earlier, it was reported that it is allowed to hunt wolves, jackals, foxes, corsacs, steppe and reed cat, (no more than two for one hunter), as well as blue doves, myne, coots, ducks, grebes, large and small cormorants, partridges, geese, white-bellied and black-bellied sandgrouses.